We all dream about having a perfect body. It looks beautiful, so we can feel confident and get rid of poor self-esteem. That’s why many women are doing their best to get desirable effect. We all know that to get a healthy and slim body it is important to make some changes in our lifestyle. However, thousands of women still have some problem areas that are rather hard to get rid of. Muffin top is one of them. It makes our body less attractive, makes us feel unconfident, and causes poor self-esteem. Many women give up thinking that they will never reduce this problem. However, there is always a way out. You probably know that when it comes to weight loss, there are only two methods that will help to achieve desirable results – healthy diet and regular exercises. This case is not an exception. However, it is important to choose the most effective diet and workouts. As for the meal plan, you shouldn’t maintain any strict diets. Yes, you should forget about junk food, sugary beverages, limit your alcohol, sugar, and salt intake. However, your diet still should include a great number of healthy foods that can be really delicious, if you cook them properly. In this way your body will get all the nutrients to stay healthy and gain muscle mass. 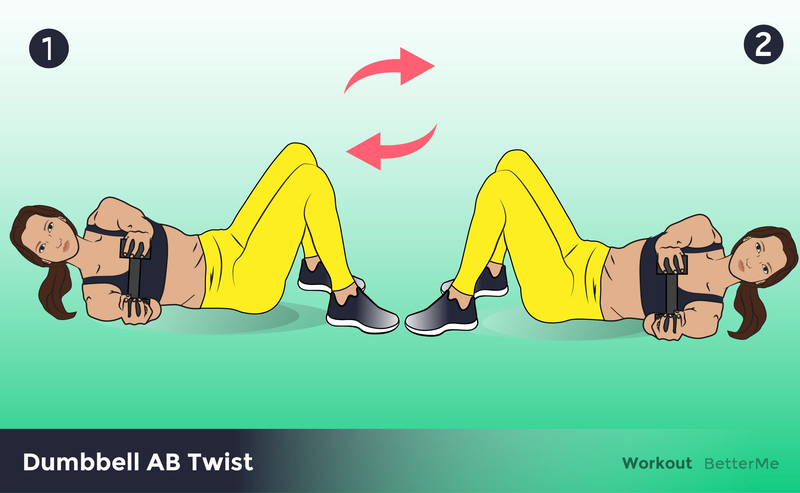 It is highly important to choose proper exercises that will help you to train abdominal muscles and get rid of the muffin top. Today, we have decided to help you a little and have prepared something special for this case. 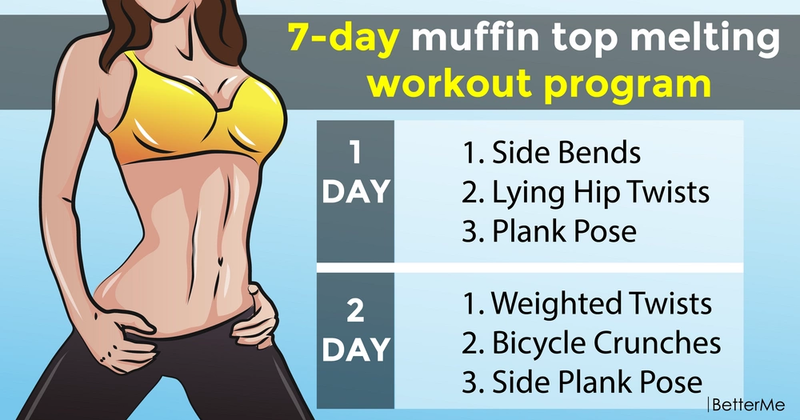 Below you will find a 7-day muffin top melting workout program that will help you to get the body of your dream in a short period of time. Just perform the exercises regularly and you won’t wait long for the results!